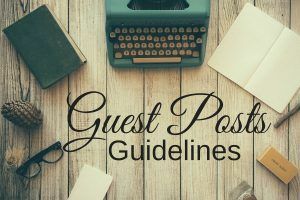 Guest blogging is undoubtedly one of the best ways to get more audience and subscribers for your blog. But in order to enjoy all the benefits of guest blogging you have to make sure that you do it right. Otherwise you might not see the results that guest blogging or posting ahs to offer. In this article, NewswireNEXT will introduce 8 things that every blogger should do in order to make a difference with SEO. Inclusion of internal links is very important and if you are not already familiar with it then it is advised to educate yourself about it right now. This will increase the number of users to your site as they have a link to get to your site. You blog should be linked to the guest blog and search engine loves these internal links. So, always include internal links in your blog post. However you have to put links wisely. Putting plenty of external links will not help you in SEO and it can even fire back. Stick with the relevant links and try to link it with the niche or topic of your blog. Even if you have to add some other link then cite it accordingly. So the readers doesn’t get confused about it. What we mean by this is to use links that are of your site and you use anchor text to put it in the blog. Anchor text can then also work as a keyword which means that you will then have the chance to optimize it on the search engine. Include your links in the text that are searched more often on the internet. Try to make it look more natural and mix those text links well to get the better results. Your content is the most important thing of the all. Search engine prefers the content that is easy to understand or readable. Search engine hates terrible English and that is why some of the blogs are turned to spun content. Using the right and easy vocabulary is the key to get good results in the search. You can consider hiring a professional writer for the guest blogging as it will not only help but will also help the guest blogger to enjoy some SEO benefits. There are writers that only write to increase the back links which is a wrong approach. First of all don’t go below 500 words as you will not be able to provide the information that you should. Secondly, make it more engaging to make it sharable. This will make you look like an expert in your field who can be trusted and people will then become willing to pay for the services that you offer. If not for the services then they will at least move to the link that you have provided in the post. Researching for a good guest blog is very important. There are social signal checkers available these days that can help you to find the best platforms on the internet. The blogs that have tons of likes and followers are undoubtedly the best choice for the guest blogging. Use social signal checker tools t find these platforms and choose the best one or two for your blog. You have a niche on which you write on your own blog post and for guest blogging you have to do the same. Don’t post your blog on the irrelevant platforms as you will not get the kind of attention you are looking for. Search for the platforms and pick 5 to 10 blogs that are relevant to your niche. Putting your blogs on the right platform will save your energy and time and you will also enjoy enhanced SEPO results. It is not easy to get the access to the best guest blogs sometime and you have to convince them that you are the right candidate for their platform. If you don’t manage to convince the owner of the blog then the previous seven steps are of no use. So, make sure that you are using the right pitch otherwise you will end up killing your chances. Try to build a relationship with the blog owner or shoe your own blog response to convince him/her. These are the eight ways that can help you to make good use of guest blogging for the SEO purposes. So next time you go for guest blogging, keep these points in mind.